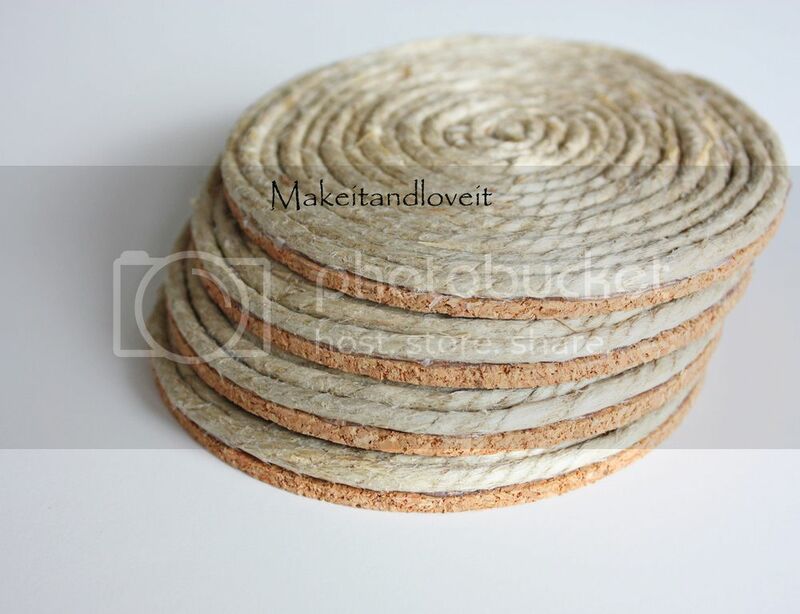 Do you have any hemp cording left over from this project? Nice and perfect for your coffee table/end tables. All swirled nice and tight…. Continue around the coaster and glue right over top of the end of the cording. Continue around and around, keeping the rows of cording nice and snug. Stop right before you get to the end….. 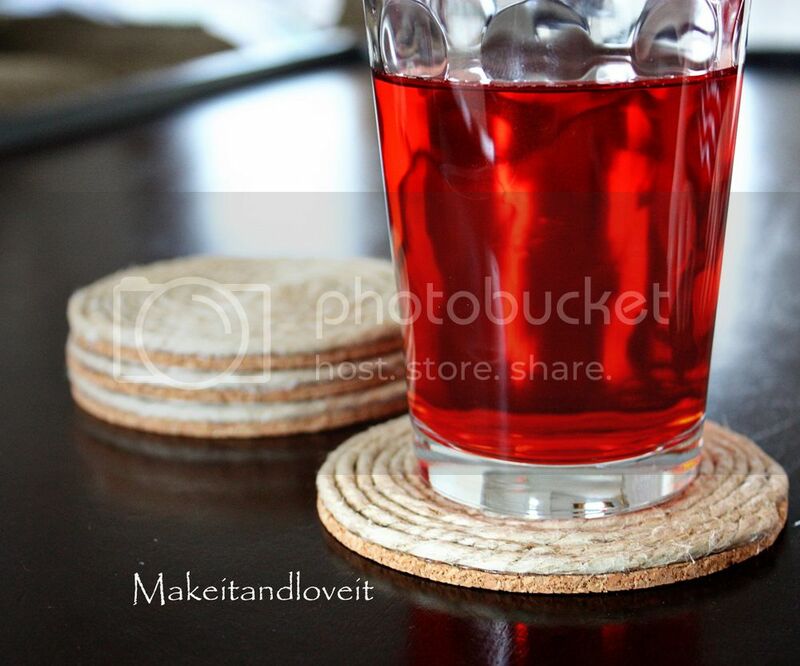 Fill the rest of the space with glue and wind up the end right into the center of the coaster. Nice and snug. Now use up that leftover cording…..
and protect your furniture from water spots. « Boy Bootie Pattern is HERE! Those are great! And I really need some new coasters! I love those!!! Great job! Thank you for sharing all your creative things! I mentioned your site on my blog today! Cute! Do you think you could spray paint these the way you did the balls? What a great idea! I about died when sons girlfriend sat her cup on the cofee table last night. Its just not done on the new furniture. At 21 they should know better right?! Love this! I'd like to invite you to come plant your creative seed at my new blog party on Fridays: Plant a Punkin Seed at Punkin Seed Productions! Great idea! I'm for sure going to have to make these. umm these are too cute thanks for the great tutorial! As always, you have THE best ideas. Super cute! 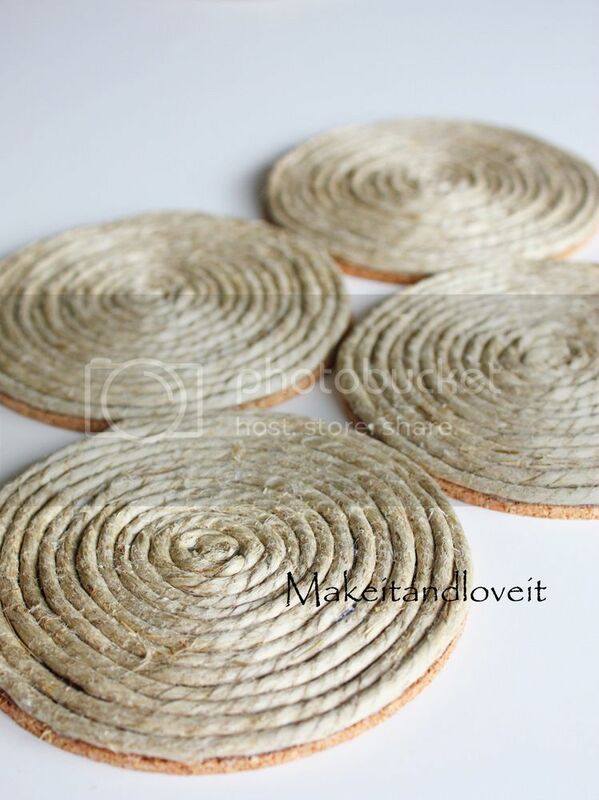 I love coasters and could have a whole assortment of them! Great idea, and so cute! what a great idea!!! i think i will have to make these! Wonderful idea! Would love to try my hand at this and make some! I did this with Easter Eggs that I saw on domestically speaking, but I painted mine and hung them up. Maybe if people like the hemp look (and/or price), but the color doesn't work, they could lightly paint the coasters. I have it posted on my blog emilysleftovers.blogspot.com. Those are so pretty! Night and light for spring as well. Thanks so much, I'll be linking. Love these! I've been thinking about buying some hemp to make scrubbies for my kitchen … now I have another use for the hemp. loved them. couldn’t find the plain coasters so used old cds though sticking on them was tougher as i used regular adhesive. but they look lovely. Thanks for such a great tutorial. to find high-quality writing like yours these days. I seriously appreciate people like you! I am genuinely grateful to the owner of this site who has shared this fantastic paragraph at at thjs place.